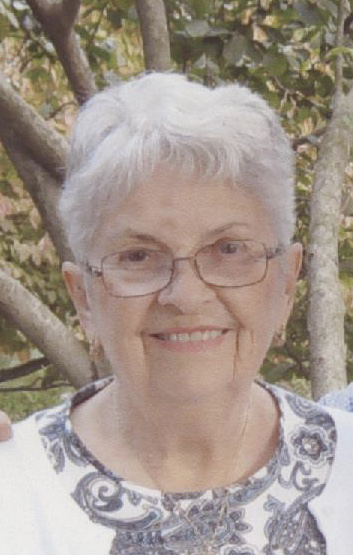 Mary Rose Burke Hemminghouse, 85, passed away in her home on April 5, 2019 with her loving family coming together to care for her in her final days. Mary Rose was born on 11-1-1933 in Brazil, Indiana to William and Maude Burke. She married John David Hemminghouse on October 31, 1953. Survivors include her husband and 4 children, Polly Jeffers (Jimmie), John E. Hemminghouse (Terri), Burke Hemminghouse (El Dete), and Michael Hemminghouse as well as 6 grandchildren Benjamin Jeffers, Matthew Jeffers (Angie), Kara Lovell (Jeremy), Neil Hemminghouse (Leslie), Lee Hemminghouse (Rachel), and Bridget Hemminghouse and 5 great-grandchildren, Ryne Jeffers, John B. Jeffers, Madelynn Jeffers, Colbie Hemminghouse, and Carson Hemminghouse. Mary Rose is preceded in death by her parents, her 5 siblings, and son, Eric Hemminghouse. She graduated from St. Patrick High School in Terre Haute and Indiana State University. She worked as a caseworker for the Vigo County Welfare Department and Services for Children with Special Health Care Needs. Mary Rose advocated for individuals affected by mental illness and served many years on the boards of the Mental Health Association and Hamilton Center. She was a member of the Wabash Valley Art Guild. She was a good mother. She was always there to listen and offer unconditional love, wise (sometimes unsolicited) advice, support and encouragement. Family and friends were always very important to Mary Rose. She and John enjoyed traveling to Florida to see their two sons as well as European trips together. She loved to celebrate family birthdays and holidays together, many times at the family cabin. She shared a lot of fun times with her special nieces- the “Maude’s Broads”, as well as her Bunco Squad; and special friends, Mary Jo Boland, Dorothy Smith, and Genie Burns. Mary Rose loved to spend time reading, doing puzzles, and stalking a good bargain. The family would like to thank Drs. Walsh, Kunapareddy, Jeevan, Mercho, and Yacoub and Hospice of the Wabash Valley for their expertise and compassionate care for Mary Rose throughout the last few years. Funeral services will be at Greiner Funeral Home, 2005 North 13th Street, Terre Haute at 1:00 on Thursday, April 11, 2019, with Father Dan Bedel officiating. Visitation will be from 4:00-8:00 at Greiner Funeral Home on Wednesday, April 10, 2019 as well as an hour before 1:00 services. Burial will follow at St. Mary Cemetery in Marshall, IL. The family suggests that in lieu of flowers donations may be made to the Terre Haute Humane Society.